This rating is the basis for many other Energy Ratings as well as for the Residential Energy Efficiency Tax Credit for New Homes which is a $2000 Tax Credit ( not a tax deduction but an actual Credit) available to Builders of energy efficient homes that pass certain requirements. The HERS® index allows comparison with other homes to determine relative energy efficiency both in the new and existing homes marketplace. In 2015 the average rating for a HERS rated home in the U.S. was 62. A home with this rating would be 38% more energy efficient than a home built in 2006 and 68% more energy efficient than a home built in the 70s. By giving a standard of measurement to residential home energy efficiency, the Residential Energy Services Network (RESNET®) and it’s team of certified Energy Raters has provided a means of assessing the value of energy efficiency features and/or improvements in terms of annual energy and cost savings. The decision making process is greatly enhanced whereby Builders and Homeowners can pick and choose the options that make the most financial sense. All HERS rated homes must be certified by a RESNET Energy Rater and must be registered with RESNET. A National Registery has been set up by RESNET where the HERS rating for a home can be verified. This is an advantageous marketing tool. Not only do energy efficient homes provide energy cost savings, they also tend to be built with better quality standards due to the indepent inspection and testing required for the Rating. The HERS score of a home can be estimated prior to construction as well using RESNET approved Energy Rating software. In this way a builder/homeowner can determine the most cost effective ways to achieve the lowest score in their area. The configuration of the home and site orientation all come into the equation. An Energy Rater can provide a predicted estimate of HERS score and determine whether the home will qualify for the Energy Efficiency Tax Credit. Once testing and inspection are complete the Rating can be officially registered with the correct score. This is an all encompassing program involving drawing review, energy code compliance, on site inspections of Thermal Boundary Layer, Duct Blaster and Blower Door performance tests, recommendations for upgrades to achieve the Energy Star rating and submission of all results to FSEC for approval by the Department of Energy. This program consists of plan review and analysis (which is effectively equivalent to the Manual J), numerous site visits to inspect the construction quality with specific attention paid to the Thermal Boundary Layer for intrusions and inconsistencies. Additionally, the energy efficiency of appliances and lighting are inventoried. Finally the process also includes performance testing. These tests are a Duct Blaster Test to determine the level of duct leakage which must be below the maximum level specified by Energy Star, and similarly, a Blower Door Test to measure the amount of building air leakage and determine whether it falls below the Energy Star maximum. These levels are also used to determine HERS® score, the lower the measured levels the better the score. This data collection and analysis must be conducted by a licensed Florida Energy Rater. The data are entered into licensed software to determine the HERS (Home Energy Rating System) index and the Energy star target score to determine if the home qualifies for Energy Star. Checklists must be completed by the Builder, the Rater and the HVAC Installer to verify that all of the necessary steps have been taken to ensure efficiency. This includes verifying that the HVAC system is fully charged and that MERV 6 filters have been used, sufficient fresh air is being introduced into the home, and all Upon completion of all requirements, the home is registered with Energy Star and a Certificate and HERS rating are issued. There is also an Energy Star sticker which is placed on the electric panel and easily identifies a true Energy Star® rated home. This is an evaluation program that goes beyond Energy Star®. The evaluation process is detailed and time consuming. The HERS® Index is but one (albeit the most significant) component in the evaluation process. In addition to the energy issues evaluated under Energy Star, there are seven other categories to be analyzed. They include Water Considerations, Lot Choice, Site Considerations, Health, Materials, Disaster Mitigation and a General Category. 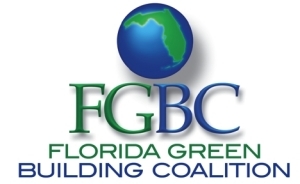 This data collection and analysis must be conducted by a licensed Florida Energy Rater and a Florida Green Building Coalition Certified Agent.